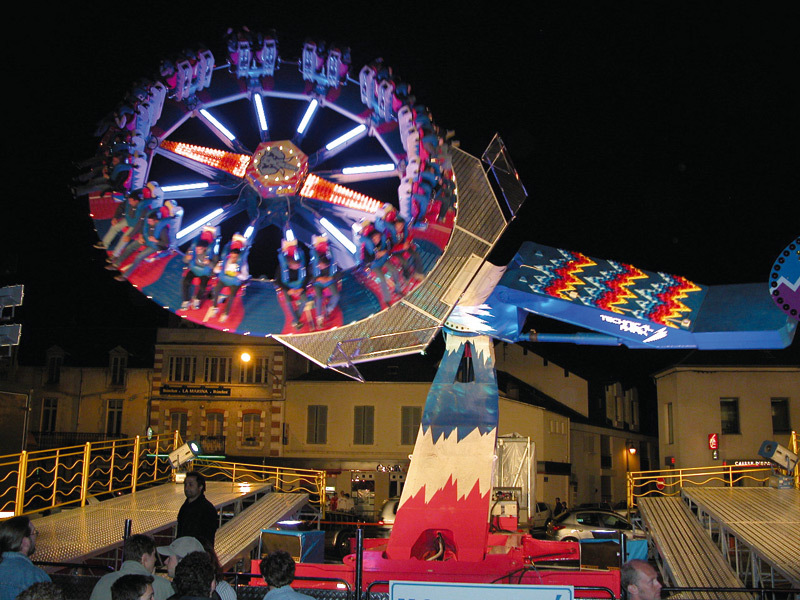 The MOONDANCE ride is a new and original ride suitable for the complete family. 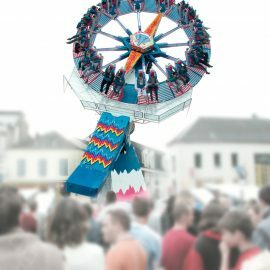 The ride offers place to 24 passengers with the passengers all facing outward. 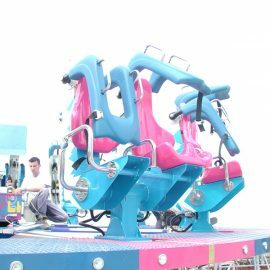 The passengers are seated in very comfortable luxury seats made out of coloured polyurethane . The seats are slightly inclined , avoiding stress on shoulders or back of the passengers. 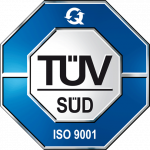 Double safety devices have been developed in order to guarantee maximum safety for the passengers. 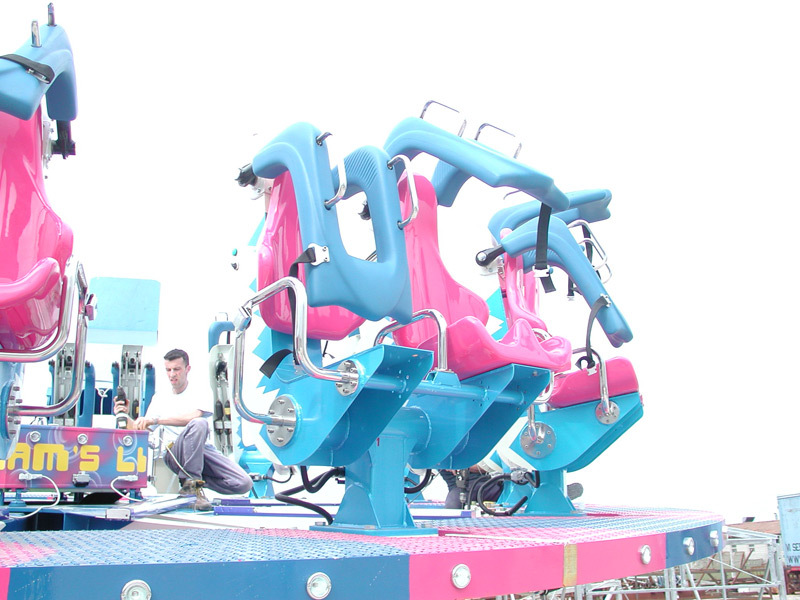 The ride has various programs in order to chose ride duration and movement sequences. 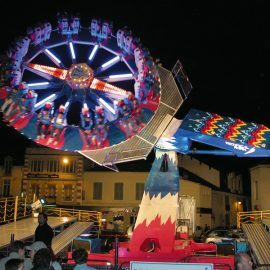 The ride is available in a mobile and park version . 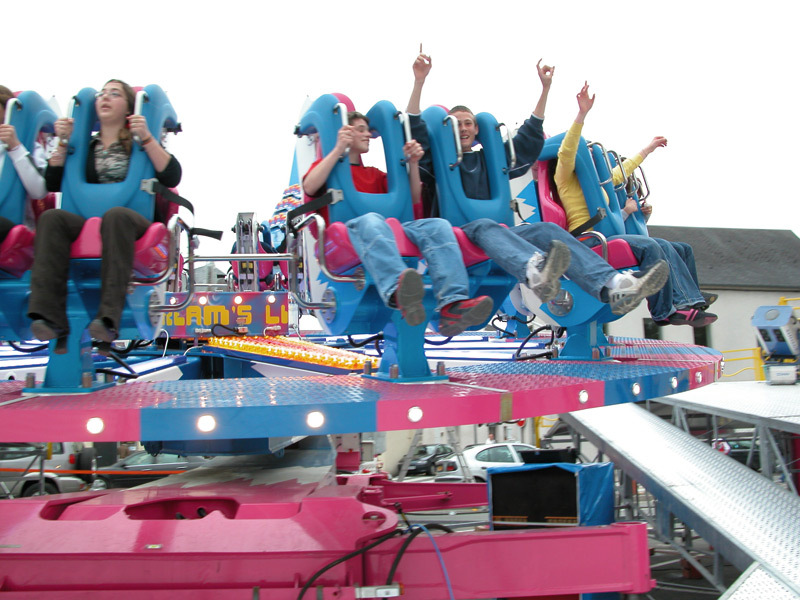 The ride exists out of a ride base and assembled onto the base we find a main lifting arm. Attached to this arm by means of an inclined bearing (23°) we assembled another arm keeping the rotating plate on one side and the counterweights on the other side. The plate starts rotating near to the ground being almost in a horizontally position. Once the lifting arm starts rising the plate will be brought at height . The plate places 24 passengers on the border all facing outwards. 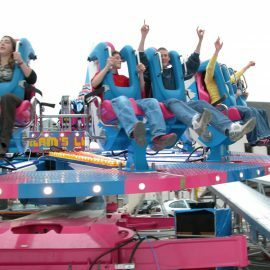 The plate while rotating will make also circle around which makes the ride very attractive. The plate will reach a climax at a height of 15 meters (50ft.) when the plate will be in an almost vertical position. 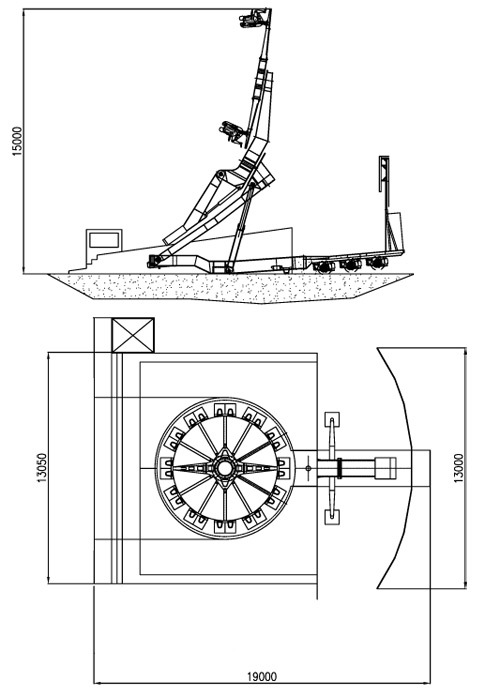 The Moondance has a footprint of 19 meters (62 ft.) by 17 meters (56 ft.). 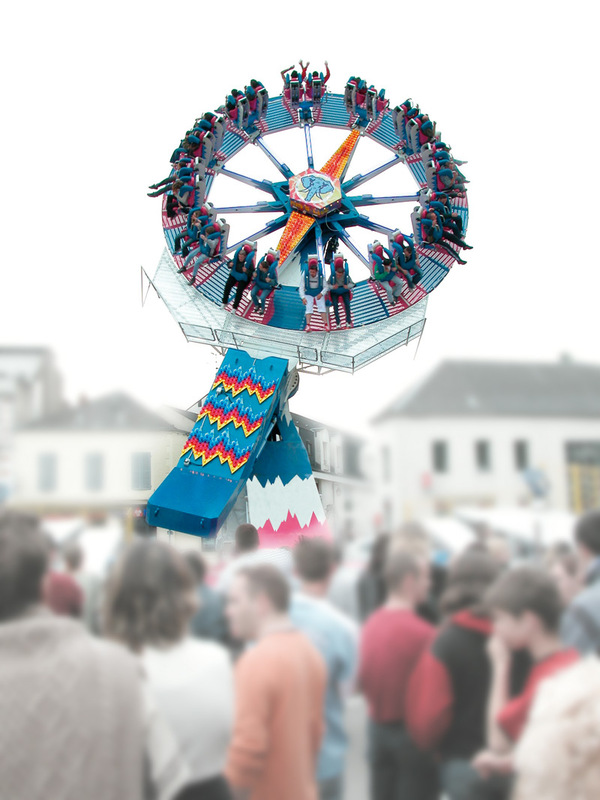 Following the needs of many customers we developed a new version of the Moondance called HEAVY ROTATION. HEAVY ROTATION has 20 seats instead of 24 and face inward instead of outward. In this case the footboard will be reduced and also the already short assembly time will be less than before. This is another big result of our continuous innovation search to improve our offer.